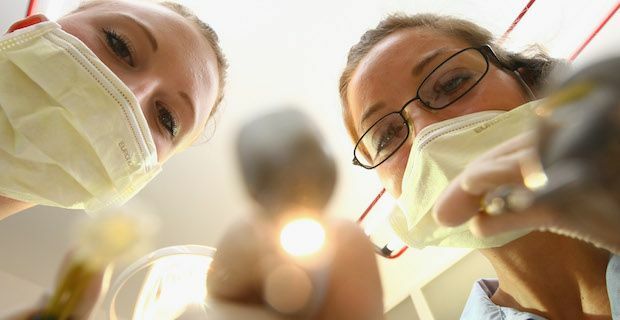 A huge recall of approximately 22,000 patients of a dental clinic in Nottinghamshire is underway after the NHS became aware of protocol failures at a local dental clinic. NHS England are worried about the possibility that blood-borne diseases may have been contracted by patients due to failures around sterilisation and the wearing of protective gloves between patients. In June, a whistleblower attended Daybrook Dental Practice in Gedling where he secretly filmed dentist Desmond D'Mello treating patients where he failed to change his gloves and sufficiently sterilise dental instruments between patients. The footage recorded by the whistleblower included 166 patients who are believed to me most at risk of infection due to clear breaches of hygiene practices. D'Mello has been tested for for blood-borne viruses and has been given the all clear but his actions of failing to sterilise instruments and failing to wear gloves may have put his patients health at risk of contracting a virus from others patients. D'Mello was officially suspended by the NHS for a year and a half in August due to the video footage provided by the whistleblower. Since it is impossible for the NHS to accurately know exactly how many patients D'Mello has treated they are appealing to anybody who has ever been treated by him to come forward to undergo blood tests. It has been estimated that He may have seen around 22,000 patients over a period of 30 years but it is unclear how much of that time he would have engaged in poor hygiene practices. An NHS spokesperson has said "Patients seen by Mr D'Mello appear to have been placed at a possible low risk of infection from blood-borne infections, due to multiple failures in cross infection control measures." Experts have praised the NHS for the recall but believe the actual transfer of blood-borne viruses to be low as well as there being " next to no risk of HIV being passed on in this way".